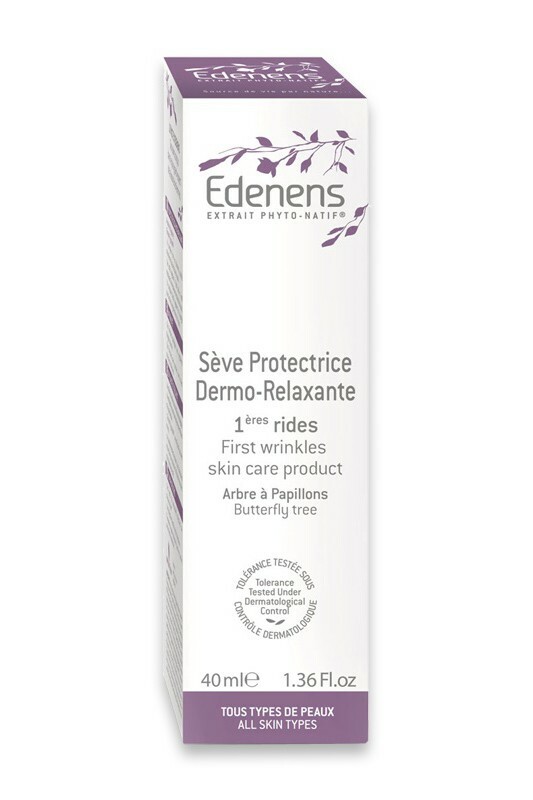 Edenens Dermo-Relaxing Skincare Sève Protectrice 1st Wrinkles diminishes appearance of fine lines and wrinkles, for a beautiful complexion on all skin types. Butterfly Tree saves cells DNA while Buriti Oil protects skin from environmental damage : pollution, stress, UV rays. A dermo-relaxing plant extract decreases muscular micro-contractions that cause expression wrinkles. Phyto-Native Extract feeds skin cells with essential nutriments : peptids, amino acids, minerals. Its pearly texture is quickly absorbed to reveal a bright velvet-like skin. Intensely relaxed and protected, your skin feels fresh and looks radiant. After one month of using Edenens Dermo-Relaxing Skincare Sève Protectrice 1st Wrinkles, you will see less wrinkles and your skin will be much smoothed. Skin tolerance tested under dermatologist control. Contains light-reflecting pigments. Non comedogenic. - Ideal to maintain sun tan ! 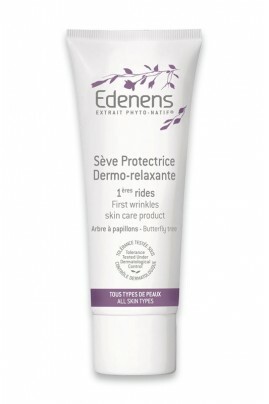 Apply day and night Edenens Dermo-Relaxing Skincare Sève Protectrice 1st Wrinkles on perfectly cleaned face and neck.